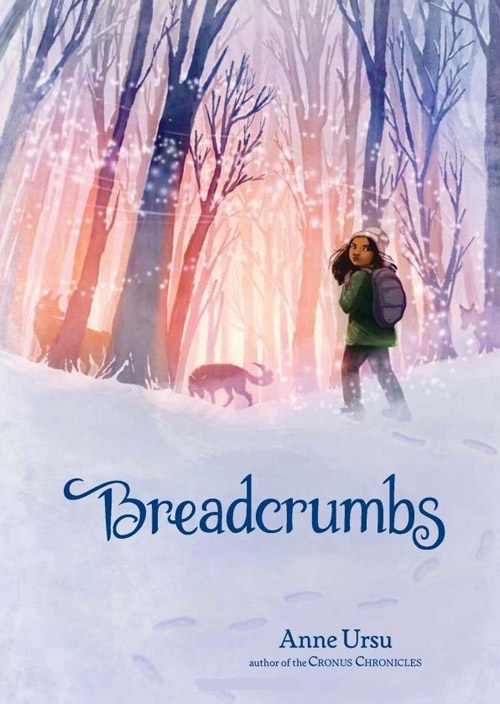 The winner of numerous awards and recipient of four starred reviews, Anne Ursu's Breadcrumbs is a stunning and heartbreaking story of growing up, wrapped in a modern-day fairy tale. Once upon a time, Hazel and Jack were best friends. But that was before he stopped talking to her and disappeared into a forest with a mysterious woman made of ice. Now it's up to Hazel to go in after him. Inspired by Hans Christian Andersen's "The Snow Queen," Breadcrumbs is a stunningly original fairy tale of modern-day America, a dazzling ode to the power of fantasy, and a heartbreaking meditation on how growing up is as much a choice as it is something that happens to us. In Breadcrumbs, Anne Ursu tells, in her one-of-a-kind voice, a story that brings together fifty years of children's literature in a tale as modern as it is timeless. Hazel's journey to come to terms with her evolving friendship with Jack will deeply resonate with young readers. Breadcrumbs by Anne Ursu is a modern day retelling of The Snow Queen in the grand tradition of Hans Christian Anderson, guaranteed to melt the iciest of hearts. Hazel and Jack are next door neighbors and best friends, until a wayward snowball enacts a huge change in Jack, causing him to follow the Snow Queen into the forest. Hazel must go into the woods after Jack and save him because that is what best friends do for each other. Anne Ursu’s prose is spellbinding. It is chock full of references that any book worm young or old worth their salt should be able to pick up on. Some are cleverly woven in. For example, there’s the part where the Snow Queen asks Jack if he’d like a Turkish Delight ahahaha. I thought Breadcrumbs was impossible to set down. Yes, I was transported on a journey as I turned the pages. I went with Hazel as she entered a magical world full of villains and unlikely heroes existing right under her nose. Ursu does a fantastic job world building, and as a reader I believed in her world where maybe the wolves are the good guys and the woodsmen are the bad guys. She absolutely has creativity in spades. Perhaps my favorite theme in Breadcrumbs is that of friendship. The friendship between Hazel and Jack is pure as both share in dreaming of distant worlds existing in the pages of their favorite books and comics. There’s not a hint of romance, and I love that. We see Hazel taking the active role and playing the knight in shining armor, rather than the damsel in distress to save her best friend. Regardless of whether Jack will still like her in the end, Hazel still goes after him. Hazel is totally my type of person. She’s a reader with a big imagination. Yet, like me, she’s also a bit socially awkward and fails to understand why her classmates don’t see the appeal of Hogwarts. I can’t help but think I feel you, Hazel, I feel you. It’s not always easy to be the book worm kid, especially when everyone else is preoccupied with other things, like ‘going out’, as Hazel’s classmates are. Not to mention Hazel dealing with some very real life problems. Her adoptive parents are divorced which means she has to live with less money than she did before – so she can’t afford private school anymore and has to go to public school, which is totally hell for the creative kid. But through it all, Hazel remains resilient and brave and that is why I loved her as a character. Breadcrumbs is a magical read, enjoyable for readers age 8-80 with themes many of us can connect with. Disclosure received for review via Amazon Vine. Breadcrumbs is a CYBILS nominee. Do You Like Your Thrills Served With A Side Of Romance? I’ve seen so many good reviews for this one! I’ll have to read it when it comes into my media center. The cover art is fabulous! Aw this one sounds adorable! I really feel like I need to start reading more middle grade! I’ll definitely pick this one up soon. It is completely adorable, but the story has a deeper meaning. Middle grade is an awesome age category. And while there are some not so great books, there are others that are amazing. Hazel sounds like a character I could really relate to and I like the references to Harry Potter and Narnia. The idea that the wolves are the good guys kind of appeals to me too. Fantastic review!